Does V2018.9 MB Star comes with HHT-WIN software? This user manual is aimed to help newbies and those who has issues with MB Star diagnostic system – HHT-WIN. 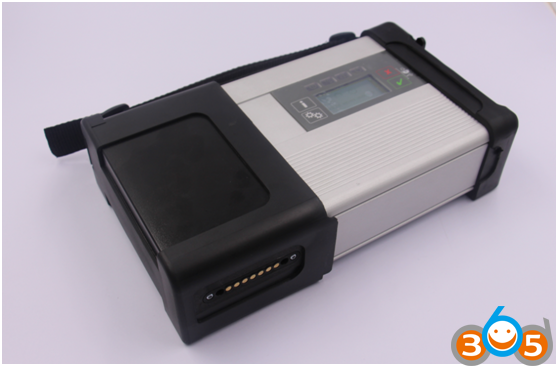 HHT-WIN is Hand Held Tester comes with XODS disks used for Mercedes diagnostics. 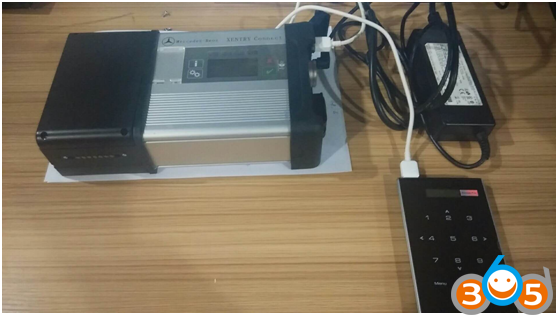 In essence HHTWIN is a hi-tech version of the LED blink code readers. Post 1996 OB2 models are fairly easy to read, however the early diagnostic system HHTWIN encompassed within the very latest Star system is more difficult to get grips with, so this is a trial sticky topic to address any issues encountered using the hhtwin system. 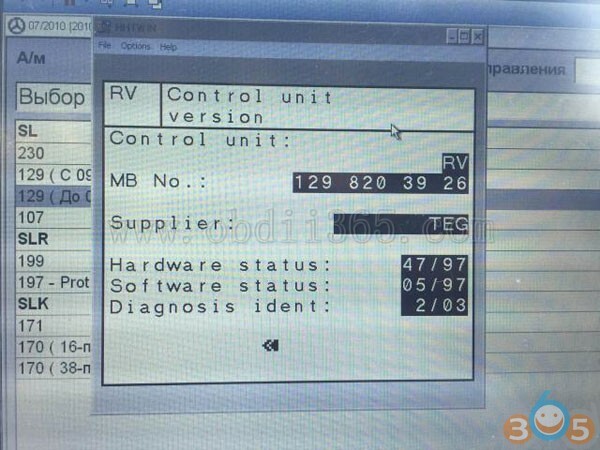 IMPORTANT: HHT-WIN is updated to 09.2018 Mercedes software disk. Software released in 2017 and 2018 doesn’t come with HTT-WIN. But now, it comes again! Disable UAC settings to “Never notify” -> Restart system if needed. It`s better to DISABLE idiotic Windows Defender too. Then, you could return UAC settings back. First simply run HHT.exe, it will install HHT to C:\HHT, then start Xentry.OpenShell.XDOS.HHT.C4.exe/Xentry.OpenShell.XDOS.HHT.C3.exe … that`s all. Some systems must be restarted at the end. The problem with “–” version was fixed. Delete C:\HHT directory and begin from the first step. If you will update your Xentry.OpenShell.XDOS version … just apply the patch once again. 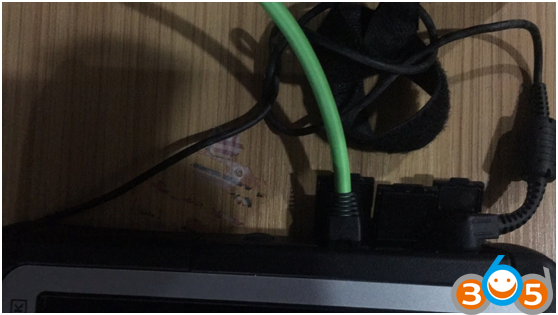 I took this to mean I had it on wrong COM port and sure enough I had it on COM 1 but have changed it to COM 2 both on the machine XP and on the virtual XP machine ( I am using the RS232 connector to the 38 pin diagnostic connector) but it said the same thing again. 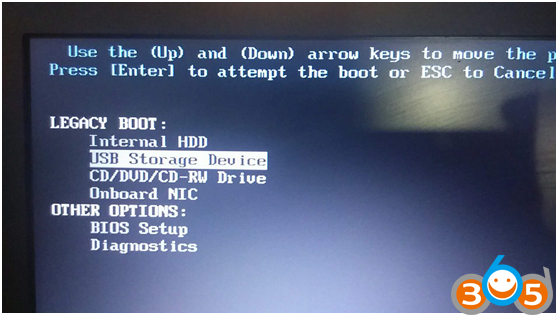 Solution: go to the windows system menu in control panel and under the harware section look at the com port assignmennts and make sure the com port you designated isn’t already assigned to something else. 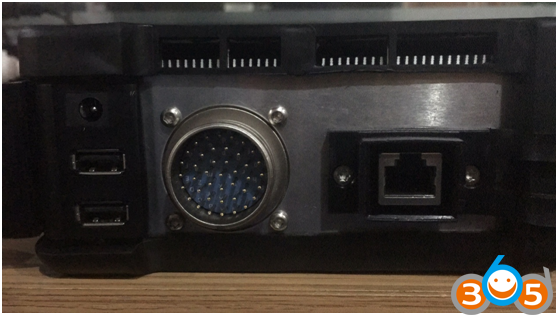 also, does the dell630 have a dedicated RS232 com port or are you using a usb/pcmcia/cardbus to RS232 converter. 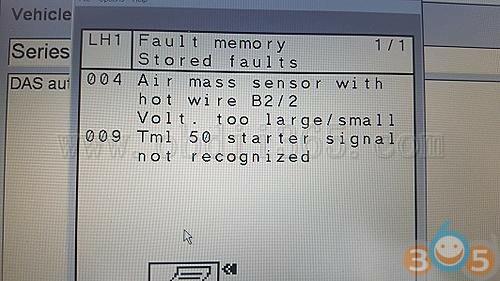 Error: How do I reset the switches with HHTwin? Or do I need a different software? My MUX is C3. Solution: you can’t reset the switches. you can clear error codes, but the switch state is what it is. DAS is telling you what the switch state is. Or at least what it thinks the switch state is. you’ll need to examine the switches and see if either they are misadjusted, not connected, or not functioning. Review 1: so far the SD Connect C4 & HHT has been informative. erased RST codes, top works, going through other functions found some neat ones. Turn on/off headlights, taillights, turn the electric fans onto each of the 4 speeds etc. 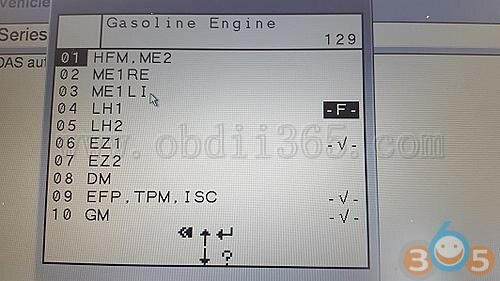 Review 2: On my new 2015 GMC Denali pickup, from the dash menu I can change between F and C for outside temp and coolant temp and transmission temp, and between MPH and KPH on the spedo, and between PSI and BAR on the oil pressure. I think I can also change the tire pressure readout between PSI and either BAR or KPascals. And I can even change the shape and location of the various gauges. Spedo and tach stay in the same place, but can change shape and display for oil pressure, transmission temp, voltmeter, coolant temp. Review 3: I changed F to C with HHTwin. I also activated the rollbar. Kind of underwhelming. Review 5: HHT-WIN successfully read the RST (RV) Module for my 1995 SL500. This entry was posted in Car diagnostic tool and tagged HHT-WIN, mb star diagnostic, mb star software on September 15, 2018 by obd365. 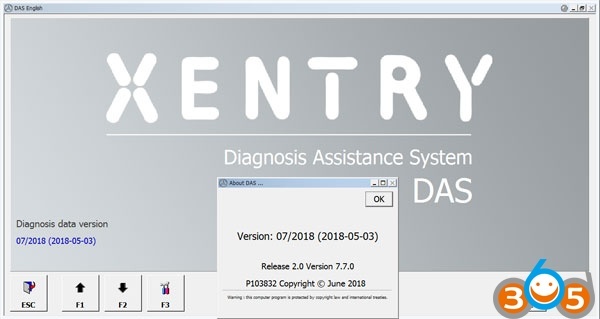 Here’s the detail guide on how to update software of Mercedes Benz DoIP Xentry Connect C5 MB Star diagnostic scanner. 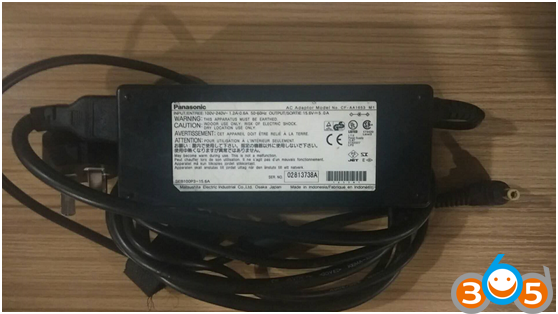 DoIP C5 comes with both internal hard drive and external Dell HDD . 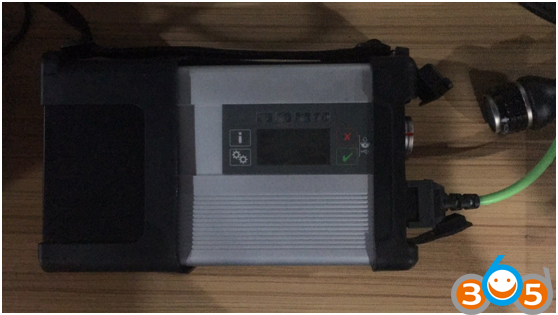 1.The upgrade procedure fits for DoIP Xentry Connect C5 but no SD Connect C5 (SD C4 in C5 case). If you have XDOS 2018.3 or 2017.9 not working well, you should update it to version 2018.7. If you have XDOS 2018.5 works good, it’s not necessary to update to 2018.7. 3. 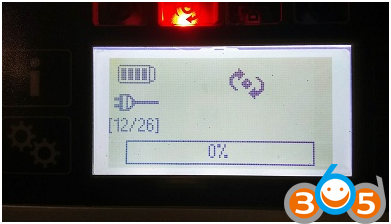 If you feel complicated to update the firmware by yourself. 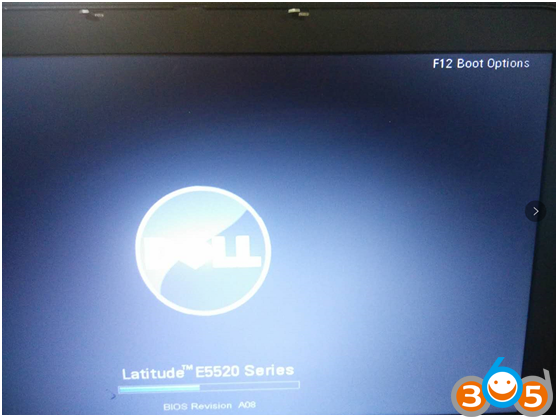 You can send both Doip C5 HDD and Dell HDD to us to run an upgrade. 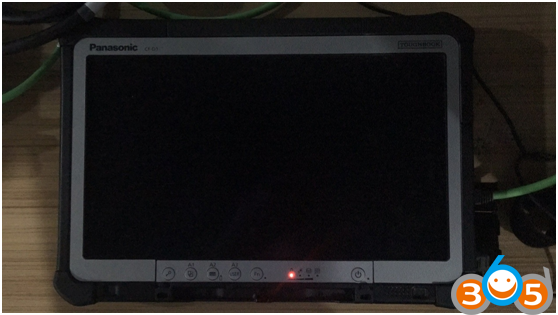 Here’s example on connecting C5 with Xentry tablet, can be also connected with Dell D630 or Lenovo laptop. 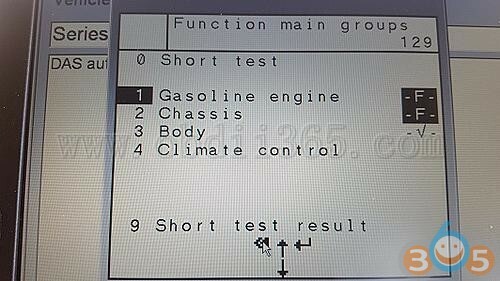 Run MB Star diagnostic software and start diagnose Mercedes. 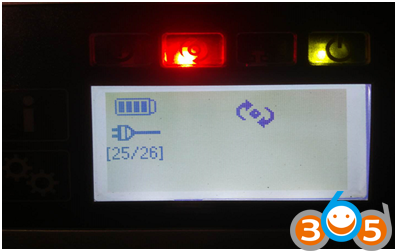 This entry was posted in Car diagnostic tool and tagged mb star diagnostic, SD Connect C5, Xentry Connect C5 on July 27, 2018 by obd365. 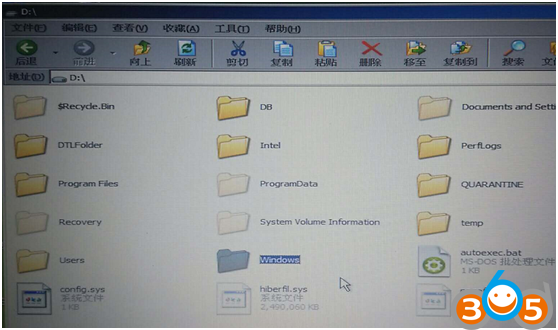 Install it on win 7 64 Bit or remove the package. 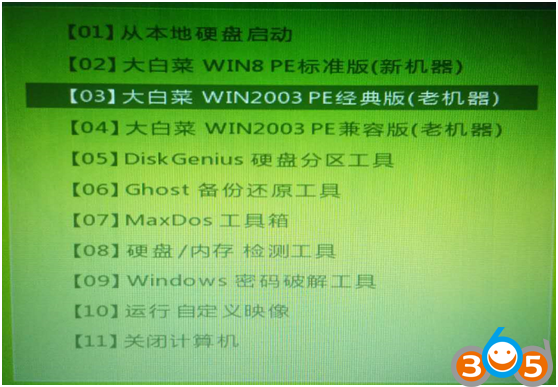 I can try install win7 x86 but not complete. I have error 393. part gives error. How to solution. try install at fresh windows SP1 also disable UAC..
Xentry 07.2018 on windows 10? 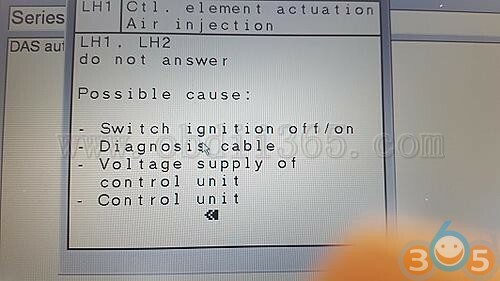 The XDOS doesn’t see Ignition-On signal. Ps. Before I used 03/2018 without any problem. how did you install 7.18 ? did you uninstall 3.18 and install 7.18? Anyone the missing akktab.csv pkw file for 2018.07 ? 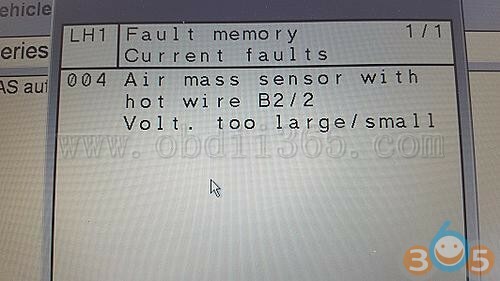 After updating the MB SD Connect C4 MUX firmware I got the cal error 870. It seems that the new version has blocked my MUX, even I have applied the blacklisted fix before!!! Use correct lic.sli and Problem is gone. Installed this version but when doing a forced regeneration when asked to start engine I am loosing connection with multiplexer? I need Hht diagnostic. Hht only working x86. I can try xentry sim test 212 and 204 not complete. Not working xentry sim. How to solution error. Please help me. Just finished x32 installation for HHTwin and no problem. The Support Tool has been given a new icon in a new design. The “Contact Support” tab contains the email address for the User Help Desk. click on the button, the Screenshot Tool marking window appears. appears. This makes it easier to create several screenshots than was previously the case. 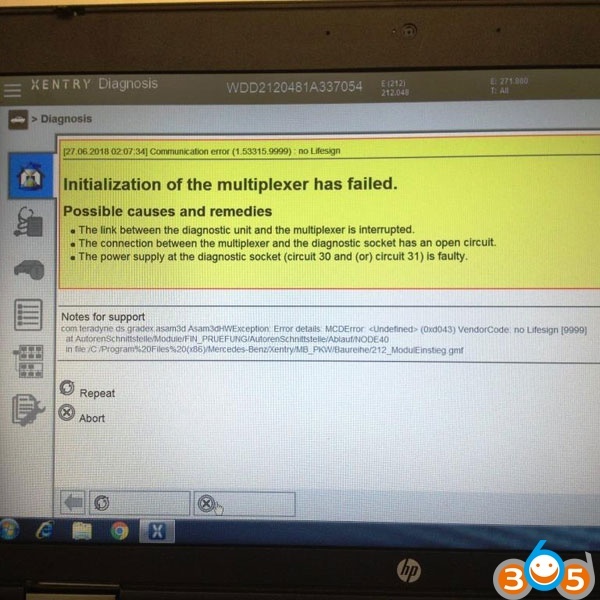 A graphic set of instructions before the test is available in “VCI self-diagnosis”. servers in the form of an immediate status picture. The “Client test” button in the “Information” is no longer shown, it is now available as bandwidth selfdiagnosis. 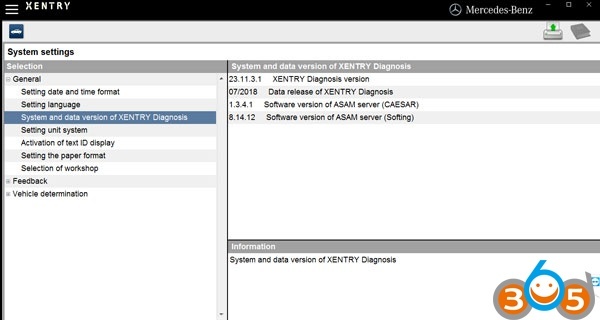 The new overview page in the “XENTRY Diagnosis Pad” shows a summarized view of all the relevant system information. from the Internet. Important note: Please coordinate this in advance with your IT manager! 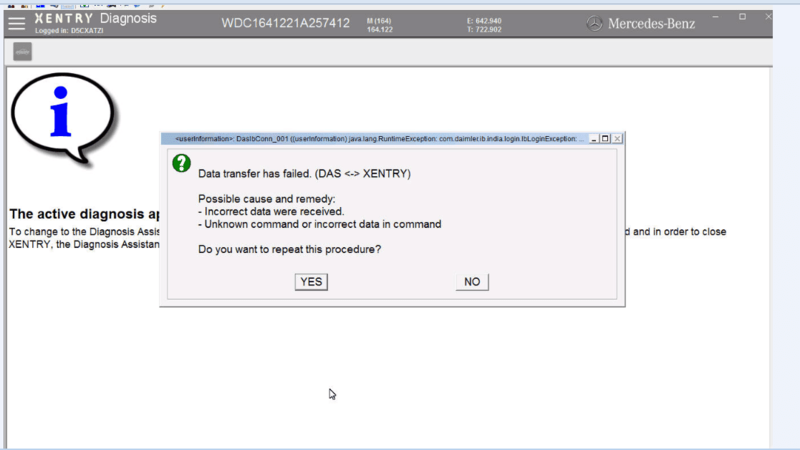 The WLAN channel for XENTRY Diagnosis VCI can be configured. Important: This setting is only to be used when the VCI connection has problems! 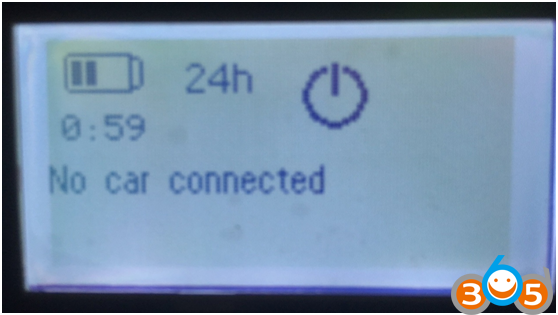 This entry was posted in Car diagnostic tool and tagged MB SD connect c4, mb star diagnostic, Xentry OpenShell on July 11, 2018 by obd365. 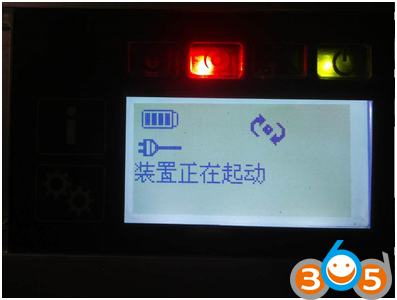 Here’s working solution to MB Star diagnostic software online SCN coding failed to carry out problem which happened all around the world these days. – Incorrect data were received. Do you went to repeat this procedure? SCN coding must be carried out again. If the problem persists, please contact the User Help Desk . It will run auto update with network connection . 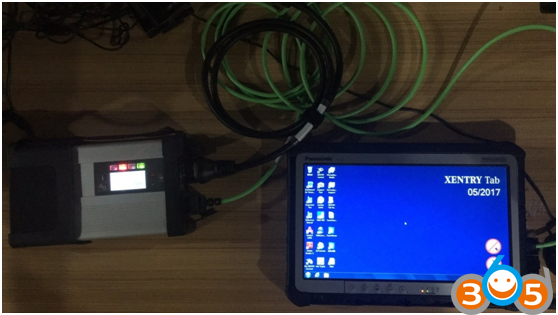 This entry was posted in Car diagnostic tool and tagged DAS, mb star diagnostic, online scn coding on June 29, 2018 by obd365. 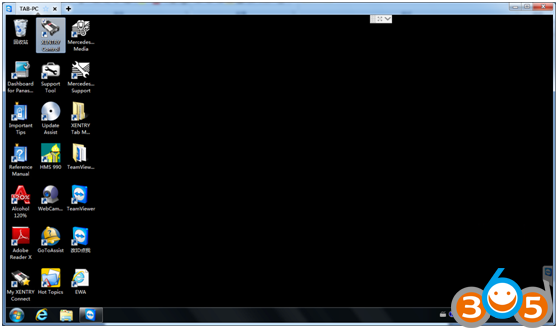 Click to show you the log file and read that. It will be specified what has gone wrong with your install. Be sure to run your install with administrator rights and have enough room on your HDD. Finally, the problem is solved. it was the Microsoft Message Queue Service not enabled now is installing fine. 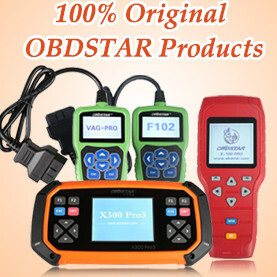 Thanks to http://www.obdii365.com engineer who helped me solve the problem, thumb up for their service. 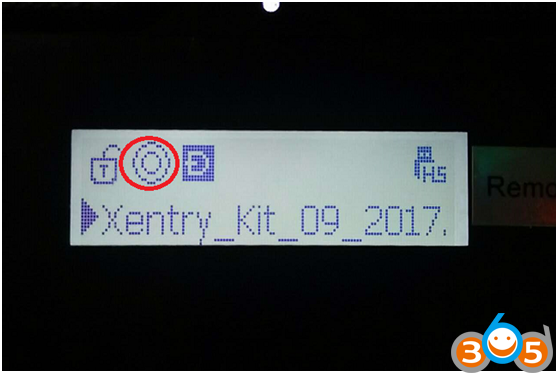 This entry was posted in Car diagnostic tool and tagged mb star diagnostic, SD Connect C4, Xentry OpenShell on September 22, 2017 by obd365. 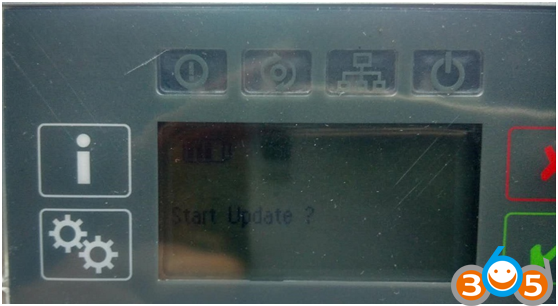 No more updates can be installed on the diagnostic system. The following functions are not available. This entry was posted in Car diagnostic tool and tagged mb star diagnostic, SD Connect C4 on June 7, 2017 by obd365. 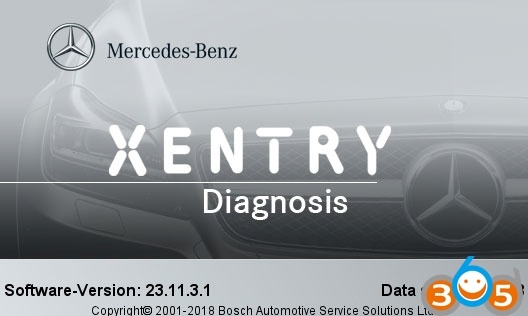 Mbstartool.com is currently rolling out latest Mercedes-Benz MB Star diagnostic DAS Xentry software 2016.07V for MB SD Connect C4 and MB Star C3 diagnostic system. Software Language: Chinese, English, Croatian ; Czech; Danish; Dutch; Finish;French; German; Greek; Hungarian;Italian; Japanese; Korean; Polish; Portuguese; Romanian;Russian; Spanish; Swedish; & Turkish. 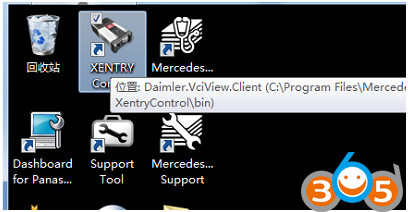 You can log in Daimler AG program without user name and password needed, it is used to check price for Benz vehicle accessories. WIN7 HDD do not support HHT-WIN! Software version newer than V2015.12 do not support HHT-WIN! 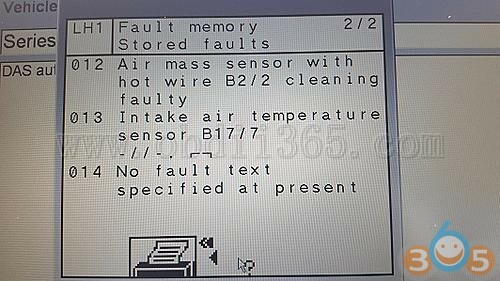 2.W-I-S net 2016.06: Workshop Information System Supply the whole view of the wiring diagram in a car,component location diagram and maintenance method. What you do is to enter the chassis number, and then you will get the manufacture data, engine configuration and the car model -all in detail. 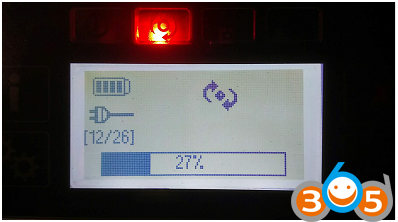 This entry was posted in Car diagnostic tool and tagged MB SD connect c4, mb star c3, mb star diagnostic on July 14, 2016 by obd365. 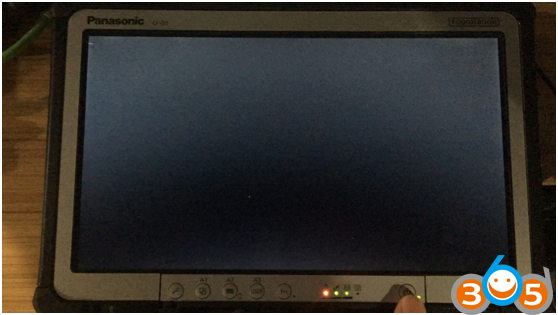 When I started installation of MB Star diagnostic WIS standalone 01/2012 on DAS 03/2012 (clean install) on Windows Xp Pro ENG with 1G virtual drive. 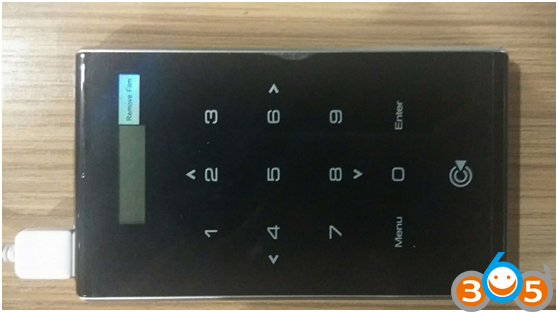 i did standalone key first, and used 1st DVD and used SDSwitch. Un-Install ANYTHING > Use the CleanEWAInstallation.vbs> Reboot > DELETE any Folders witch they remain > Re-Install again! So I changed name “Użytkownicy” to other word without diacritics – for example to “Users” or “Uzytkownicy”. To solve it, ran compmgmt.msc and went to “Users and local groups” ->”Groups” and rename “Użytkownicy”. 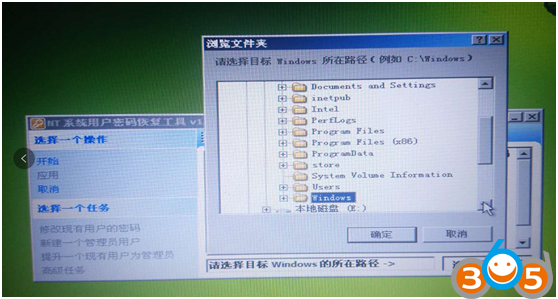 It is said that it’s possible to install standalone WIS on any language version of WINXP. 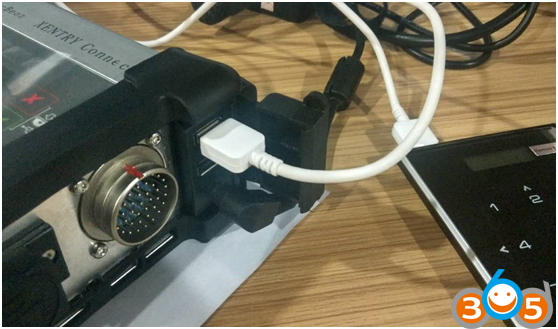 This entry was posted in Car diagnostic tool and tagged MB SD connect c4, mb star diagnostic on June 8, 2016 by obd365. Can the old MB SD Connect C4 multiplexer work with the new XENTRY/DAS, etc.? 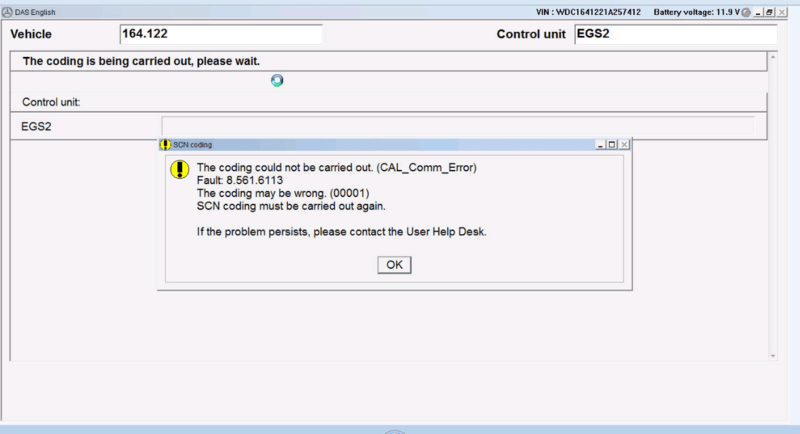 Here is a case ans solution also, which helps error SDnetControl “no signal”. 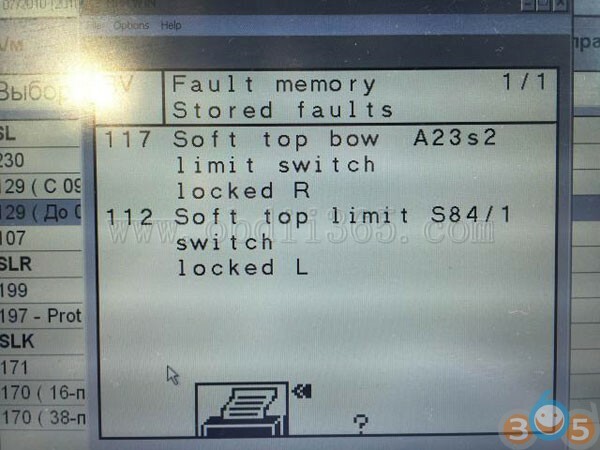 2015.12v MB SD C4 software cannot work with 2013 sd connect c4 diagnostic system. 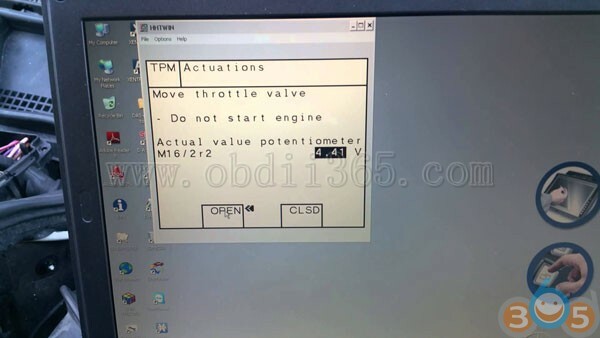 This entry was posted in Car diagnostic tool, odometer correction tool and tagged MB SD connect c4, mb star diagnostic on May 4, 2016 by obd365. 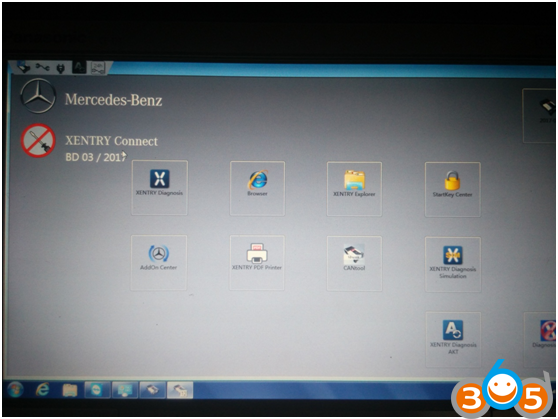 Here is a final solution on how to fix the Mercedes Benz MB Star diagnostic (MB SD C4 or MB star C3)“No access authorization code! You must contact the User Help Desk” error. Set up a new text document on Desktop. Otworz za pomocq (open with) WordPad. Then open and minimize it. Open STAR UTILITIES on Desktop. 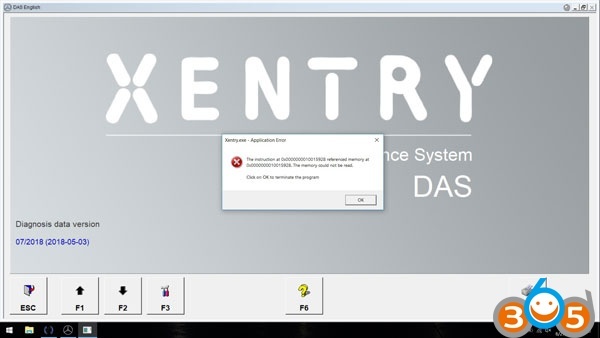 Select Application: XENTRY Diagnostics. Then copy the HW-ID and AppID on the Wordpad just be established on Desktop. Open EWA net (admin 12345) on Desktop. Enter name and password to log in. Select Serwer (server)>>Edytuj uprawnienie dostepu (Edit privilege access). Open Get HardwareID_NoRING0.exe on Desktop. Copy the Hardware ID to the Wordpad. Minimize it! 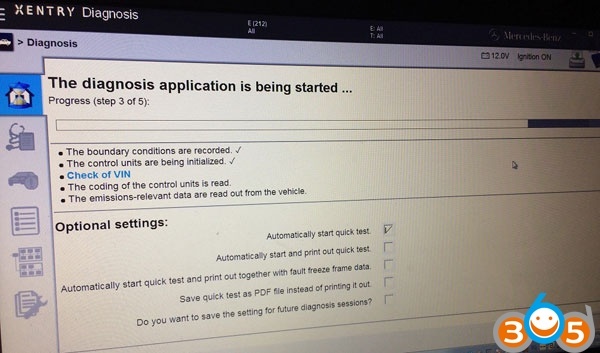 Then click Open your star diagnostic MB SD Connect C4-2015.7.pdf to see the STAR version. Then write down the version on the Wordpad. Save data and close it. Open My Computer>>Star (C:)>>Documents and Settings>>All Users>>Application Data>>LicDir, to copy and paste lc_key_2.dat here. And rename the new one as “lc_key_2.x4711”. Right click “lc_key_2.x4711 for Properties, tick on the last line “Read-only”. Click OK.
Then delete the original “lc_key_2.dat”. Then please send the ID file (wordpad saved just now) to the related customer service staff to get the activation code. TeamViewer is running. Please zamknij (close) it. Click the ID Wordpad, otworz za pomocq (open with) WordPad. Copy XENTRY ID to STAR UNTILITIES to paste it as StartKey, then save it. Copy EPCnet and WISnet ID on Wordpad to EWA net Edytuj uprawnienie dostepu (Edit privilege access). Then zapisz (save) it. 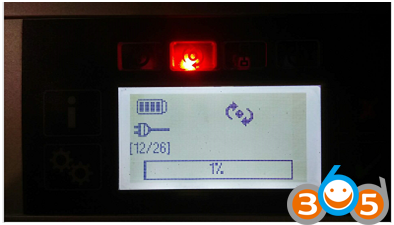 Go to the left menu to select Programy>>EPC. Tick for Do not show the next time EPC starts, and click Close. Open the extracted file “license.reg”. 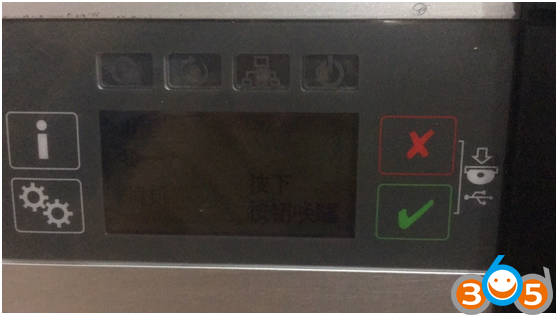 Click Xentry Diagnostics (icon is the third from the top). Prompt: This application has been registered to 2-. Click OK. 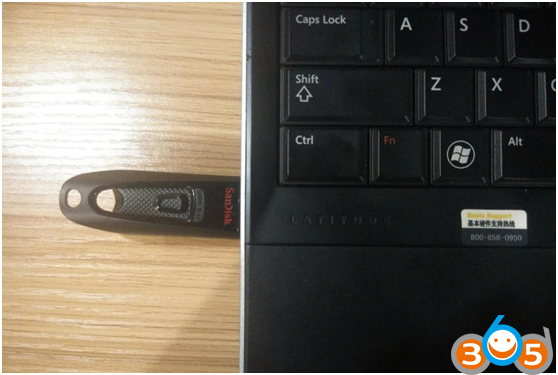 If this message below (the current key has been located on a different machine…) appears, please send the Hardware ID resend the personel of the service to obtain the license file. Click OK. Copy the Hardware ID to the ID Wordpad. 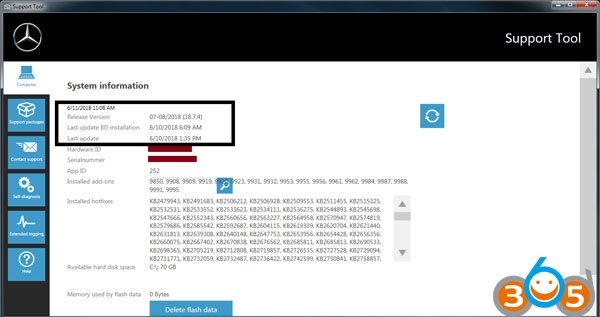 Hardware ID is the same as LAN ID. Close the Wordpad. Save? Nie (No). Delete license.rar and its extracted file “license.reg” on Desktop. Another license.rar appear on Desktop. Extract here. Open the new extracted file “license.reg”. Click zamknij (close) on the running Team Viewer. Prompt: This application has been registered to 3-. Click OK. If the message below (No valid DAS license; DAS will now be closed. ), please send the DAS ID, the personnel of DAS service will obtain license code. Click OK.
Write down the LanID to the ID Wordpad. Then save data and close the Wordpad. Open ID Wordpad on Desktop. Copy the last line license code, to paste as StartKey in STAR UTILITIES. Then save it. 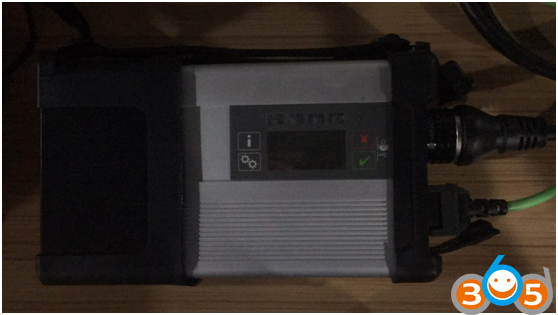 This entry was posted in Car diagnostic tool and tagged MB SD C4, MB SD connect c4, mb star diagnostic on February 23, 2016 by obd365.